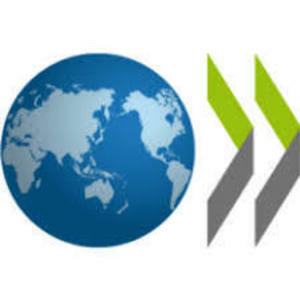 Inclusive Entrepreneurship | The Forum Network, hosted by the OECD: Shape ideas. Shape policy. Shape the Future. Panellists welcomed the opportunity for a rich discussion on how entrepreneurship can inspire change and unveil solutions to global and local problems. Although technology itself cannot address every issue, and might be part of the very reason why some people feel left out or left behind today, the digital revolution offers unprecedented opportunities to empower some of the most vulnerable and disadvantaged groups in society. Echoing this Nicola Hazell, SheStarts’ Director and Head of Diversity and Impact at BlueChilli, stressed the fact that digitalisation represents a huge opportunity to use a local solution for global, scalable impact. There was a general call on policy makers to embrace the digital revolution, despite its complexity for analogue-built institutions. For Aape Pohjavirta, Founder & Chief Evangelist at Funzi, “Our societies are built on a false sense of causality. We think there are processes that start somewhere and end somewhere, and that has led us to being totally reactive. Yet digital is proactive. That’s why the rules are going to change”. While the digital age has allowed nimble newcomers to compete with large incumbents by granting instant access to global markets, a number of challenges remain: lack of access to finance and entrepreneurial skills are most frequently cited as main impediments to business creation. In the European Union, women are twice less likely than men to be a new business owner. Young people are as likely as adults to become entrepreneurs, but with a higher rate of failure. It is also worrisome that only 16% of global startup founders are women and that they face much higher challenges to attract investment than their male counterparts, mostly because funders tend to be men. All speakers agreed that, at the moment, the entrepreneurial ecosystem is neither sufficiently diverse nor accessible. Significant emphasis was placed on the need to design programmes that can empower women entrepreneurs whilst acknowledging that some progress has been made in recent years. As Chiara Condi, President & Founder of Led by Her stated, “We have to understand where we are coming from. 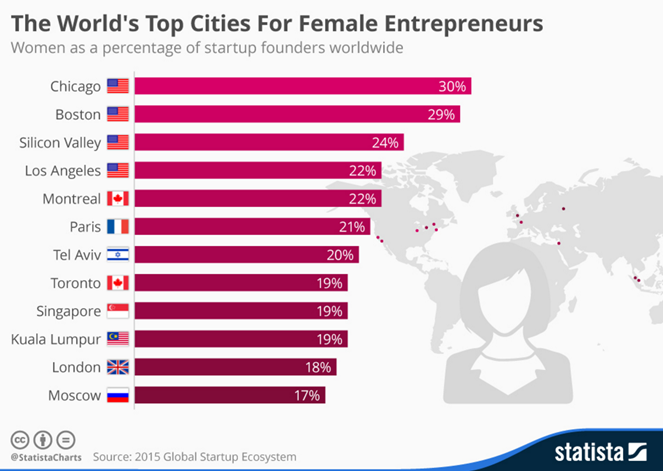 We expect 50% women entrepreneurs today while it took thousands of years to get there”. Roxanne Varza, Director of Station F, France, sided with this, stressing that she sees a growing number of women in the French startup ecosystem, more so than in London or Tel Aviv. Women entrepreneurs often quote access to networks, mentoring, coaching and peer-learning as most essential to business creation. Business incubators can help by building synergies and ensuring cross-pollination of ideas among entrepreneurs, whether at the inception of a project or as they try to scale up. A Forum participant highlighted through Wisembly that gender diversity in the startup world will not be achieved unless men are included. To Chiara Condi however, it is valuable to design women-only coding programmes as they need to get up to speed quickly. It seems clear that diversity in leadership is not just a social imperative; it is also an economic priority as we cannot thrive in a global economy if half of the population is missing. The shared responsibilities of public and private leaders were brought to the fore, suggesting that funding should be conditional to diversity in the very design of any project. Aape Pohjavirta supported this view, emphasising the need to design products that reach men and women equally, referencing an experiment that was tested in the context of entrepreneurship training in Sub-Saharan Africa. Mobile learning can be a powerful catalyst to empower men and women alike and make them more resilient to a disruptive future. All speakers felt that the future will be entrepreneurial, whether to survive or to innovate. While Chiara Condi suggested “free entrepreneurial education” for everyone, including refugees and vulnerable populations, Roxanne Varza called on policy makers to help establish a framework conducive to entrepreneurship, making it a career option as valuable as more traditional employment. She stated, “One population that’s so under-represented is people from underprivileged backgrounds - people who don’t go to business school, who don’t go to engineering school, who don’t have MBAs - and yet want to become entrepreneurs. Yes, we have a lot of online resources but many people aren’t even aware that entrepreneurship is an option for them. We must have a very different approach about how we reach out to these people”. What is needed to foster an entrepreneurial environment that provides an opportunity for all to succeed, shying away from winner-takes-all dynamics? How can policy-makers ensure that digitalisation fosters diversity, creativity and inclusion in the startup world? Do you think the future will be entrepreneurial?